Aluminum awnings can be used in a number of different applications on construction projects, and is one of the most popular systems that architects use to protect those outside from the sun. 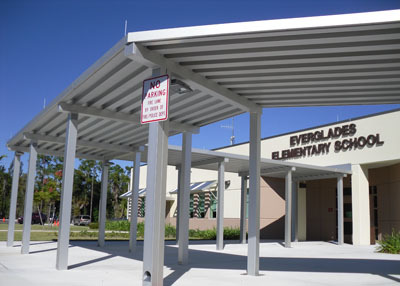 Aluminum canopy solutions not only are durable and long lasting, but they require little maintenance and are aesthetically pleasing. Many people avoid thinking about how the sun and UV rays can affect them, but in reality, approximately 1 million people are diagnosed with skin cancer a year. Aluminum awnings and canopies are getting significantly more popular in construction because they not only help cool down buildings and provide for cover, but they also help reduce UV radiation. Believe it or not, even when you’re inside, UV rays can still affect you and even sun bleach your belongings. 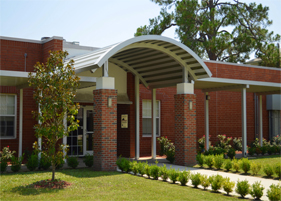 Aluminum awnings provide shelter for those who want to step outside and get some fresh air. 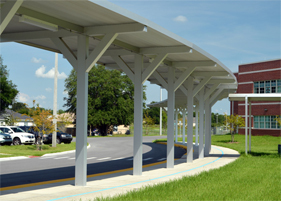 Avoiding harmful UV rays can be difficult if you want to go outside, but aluminum canopies provide safe protection from UV radiation while still enjoying the outdoors. They can also provide for additional outside space while enhancing the look of the building. 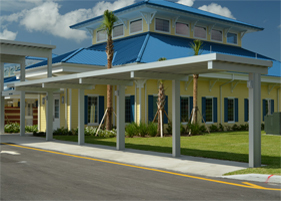 At Perfection Architectural Systems, we provide your business with aluminum canopies and walkway covers that will not only enhance the look of the building, but also provide you protection from UV rays. 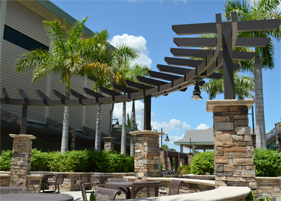 We provide quality service and long term canopy solutions that will enhance your building project, and by contacting us at 1-800-238-7207 we will be more than happy to get your project started.